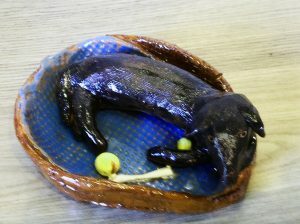 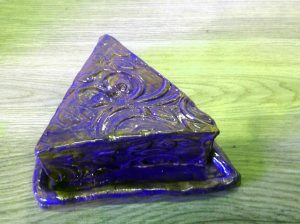 Always up for something new, I signed up for a six-week beginners course of pottery at Govanhill Baths Community Trust. 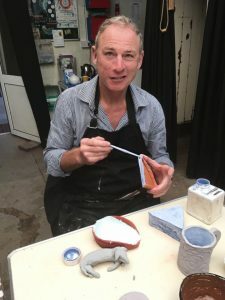 There were no potters wheels but, under the expert tuition of Frances Diver, there was plenty of clay, paint, enthusiasm, and talent on display, oh and free cups of coffee too. 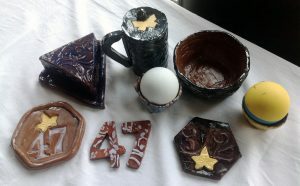 I think it’s fair to say that I wasn’t a natural potter but I still managed to make all of the things below and a few new friends too.